The recent heavy rains have knocked blossoms off many plants. Even so, our Nature Guide Jon Latimer tells us that we can still find wildflowers in bloom throughout our area. He reports on a few that bloom early and that we can see now. 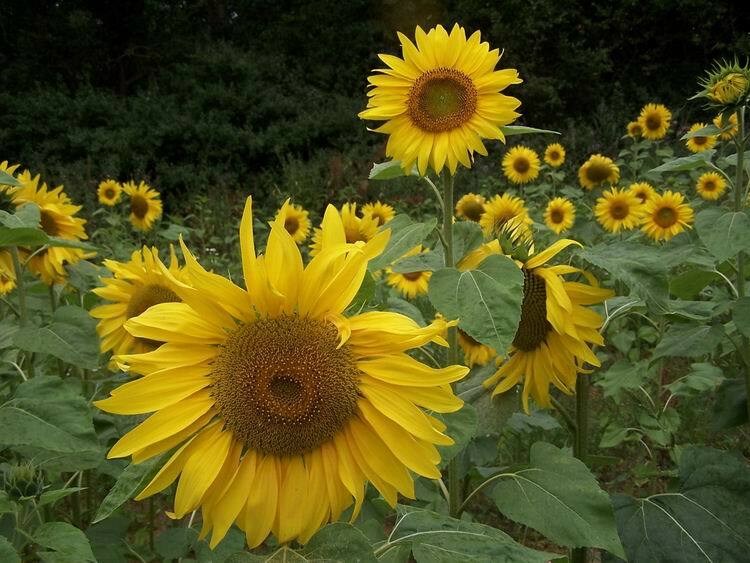 "The Aster Family (Asteraceae) is huge and includes plants such as sunflowers and dandelions. Many species look so much alike that it can be difficult to tell them apart. For example, Bushy Aster grows to 3 feet tall and has leafy branches and many small white or lavender flowers with yellow centers (1/2 to 3/4 inch across). Aromatic Aster is low growing and bushy with blue-lavender flowers with yellow centers (1 1/4 inches across). Other asters have white, yellow, pink or other colored flowers. 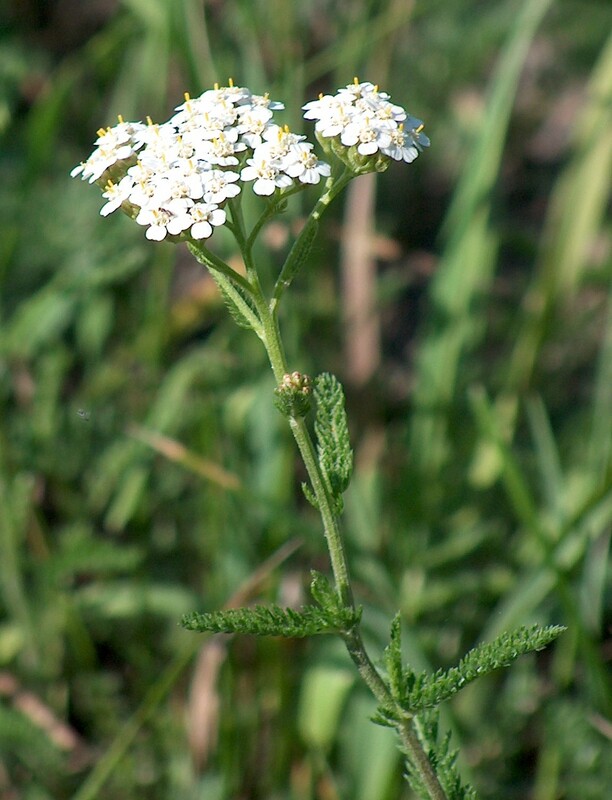 "On the other hand, Common Yarrow, Achillea millefolium, is easy to recognize. It has distinctive flat-topped flower heads (2 to 6 inches across) made up of tiny white flowers, and lacy green or gray leaves on 2- to 5-foot stems. Unfortunately, white yarrow looks very similar to another common plant in our area, Queen Anne's Lace. "Queen Anne's Lace, Daucus carota, also has a flat-topped flower head (3 to 5 inches across) made up of tiny white flowers. But its leaves are fern-like and it only grows to 1 to 3 feet tall. However, the easiest way to tell these plants apart is to look for a single reddish-purple blossom in the center of the flower head. 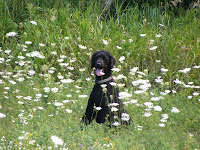 If it has one, it's Queen Anne's Lace. 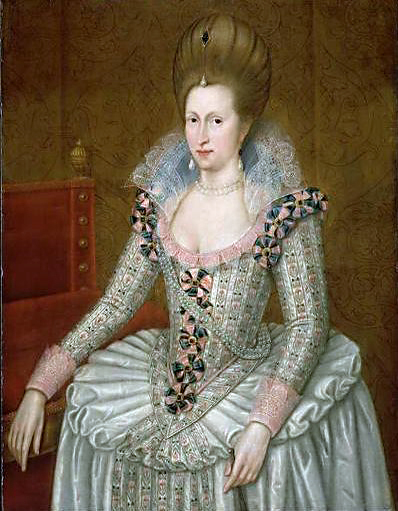 "Incidentally, this flower was named after Queen Anne of Denmark (1574–1619), who was consort of James I of England. She was an accomplished lace maker and the red spot in the middle was said to be a drop of her blood from a needle prick. Queen Anne's Lace is also known as "Wild Carrot." It was introduced from Europe and is the ancestor of the carrots that we eat today. "Another ancestor of a cultivated plant common in our area is the wild strawberry. It is a creeping plant, growing only about 6 inches tall. Its small flowers (3/4 inch wide) have 5 white petals and bloom from April to June. After blossoming the petals fall away, leaving a yellow cone. This cone gradually grows larger and becomes redder, eventually forming the strawberry."